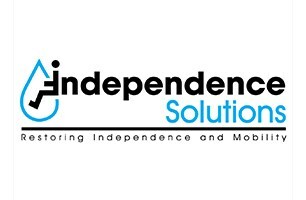 Independence Solutions - Bathrooms based in Old Colwyn, Conwy. Independence Solutions is the preferred installer for many housing associations and local authorities in North and Mid Wales. We specialise in aids and adaptations for the disabled and elderly. Whether it be something as simple as a grab rail, step for easy access or a wet room for safer bathing, right through to ceiling track hoists, specialists shower toilets and extensions. All operatives are skilled tradesman; plumbers, tilers, joiners, ground workers and we have our own NICEIC registered electrician. Keeping everything "in house" we are confident we can offer the very best of service, at the best price to the best standards. We offer 3D design service for all our bathrooms and wet rooms.